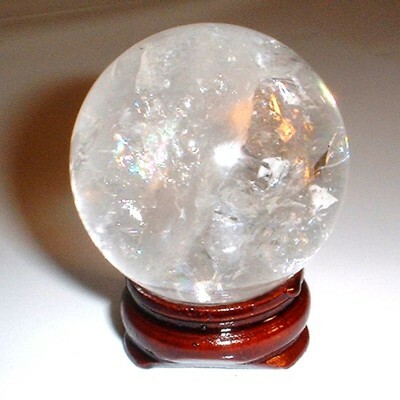 All right, who's the wise guy who rubbed Vaseline all over my crystal ball? If I find out who did it, I am going to report to the American Pundits Guild. You could be subject to fine and imprisonment. Here's my original post, with actual outcome in bold face. Q: What will be the fate of the 65 legislative incumbents facing primary challenges, due mostly to voter anger over last year's pay grab? CW: Most will survive, but if the number dumped exceeds 15, we will call it a big victory for the anti-pay grab movement. Reality: Some races are undecided, but it looks like the number will exceed 15. Especially with the demise of Jubelirer and Brightbill, this is a big victory for the anti-pay grab movement. Of course, there is always the question: Now what? Q: What about the legislative leaders? Are they in trouble because of their roles in the pay grab? CW: House Democratic leader Bill DeWeese will win easily, Senate Republican leader Chip Brightbill will survive, Senate GOP leader Bob Jubelier is treading water, House Democratic leader Mike Veon is sinking. Reality: Wrong. Wrong. Wrong. Well, Deweese did survive, but Brightbill went down decisively, as did Jubelirer. Veon, who looked like a dead man walking over the weekend, had no trouble dispensing with Jay Paisley. Q: How well will Bob Casey's two liberal opponents -- Alan Sandals & Chuck Pennacchio -- fare at the polls? CW: The two will just break 10% points combined. Reality: The two broke 16% combined. A tribute to the fire of their supporters. On the other hand, Casey did get 84 percent of the vote. Q: Who will win the contested Democratic primary for lieutenant governor? Reality: ABout 500,000 Democrats care for Catherina Baker Knoll, who once again proved her statewide popularity. Q: Will the large number of contested races juice turnout? CW: No. Statewide, it will be less than 20%, with higher localized turnout due to hot races, mostly for the legislature. Reality: Statewide, it was about 19% in the premier race, the U.S. Senate primary. There were spikes in turnout in hard-fought local races. Q: Who is the biggest potential loser tomorrow? CW: House Speaker John Perzel, the master of pragmatic realpolitik. If many of his members fall to the anti-pay grab candidates, the Philadelphia Republican will face a leadership challenge next session from the populist zanies who will inhabit his caucus. Reality: Remains to be seen. But Perzel did get the largest share of populist zanies, with a number of his more conventional conservatives from Central Pa. going down in the primary. That's the thing about conventional wisdom. It is conventional. I hope that history reserves a special place for Terry Graboyes, who swears she would have won the 175th district primary . . . if only the two people who got more votes than she did hadn't run. Seriously, does Dicker's besting Graboyes say anything about declining Rendell/Fumo clout?